Welcome to the Georgia Garrison Forums! You will need to register in order to post on these forums and view certain topics. If you're hoping to build a bad-guy costume of your own and join the ranks of the 501st Legion, then head down to the Imperial Academy area and request Cadet Status to access resources for building your costume! 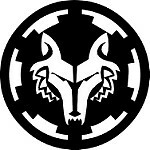 If you're a visiting 501st Member and are registering on our forums for the first time, please be sure to include your TKID# in the appropriate field when you register. We'll check your TKID against the Legion database and set you up with member access here on the forums automatically. If for some reason we don't grant you 501st Member access automatically when your profile is activated, just post an access request here in the welcome center, or PM or email someone on command staff and we'll get you sorted out. If you're a Rebel Legion Member and are registering on our forums for the first time, just put "Rebel" in the TKID field. We'll verify you're a Rebel Legion member and set you up with the appropriate access here on the forums automatically. If you're a Mando Mercs Member and are registering on our forums for the first time, just put "Mando" in the TKID field. We'll verify you're a Mercs OM and set you up with the appropriate access here on the forums automatically.